The Hollywood Reporter brings word that Walt Disney Studios is preparing to blast off with another adventure starring The Rocketeer… sort of. The Jungle Book producer Brigham Taylor is set to produce the film with the unlikely pair of L.A. Clippers Power forward Blake Griffin and Carolina Panthers center Ryan Kalil. Created by Dave Stevens in 1982, Rocketeer was first published by Pacific Comics. Set in 1938, the story follows stunt pilot Cliff Secord who comes into possession of an experimental jetpack that allows him to take his fight for justice to the skies. The original film was directed by Joe Johnson and stars Billy Campbell, Jennifer Connelly, Alan Arkin and Timothy Dalton and, while much loved by fans today, failed to live up to studio expectations at the box office at the time of its release. 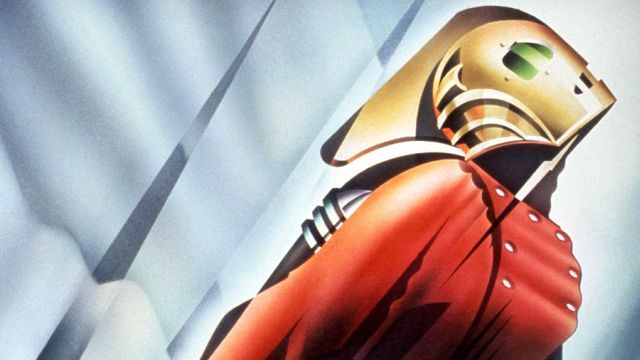 What do you think of the idea of a The Rocketeer reboot/sequel? Sound off in the comments below!